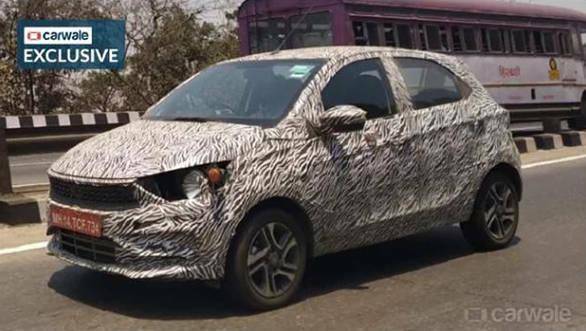 The Impact 2.0 design language is seen on the Tata Harrier, and the soon-to-be launched Tata Altroz could be adopted by the upcoming Tata Tiago facelift. 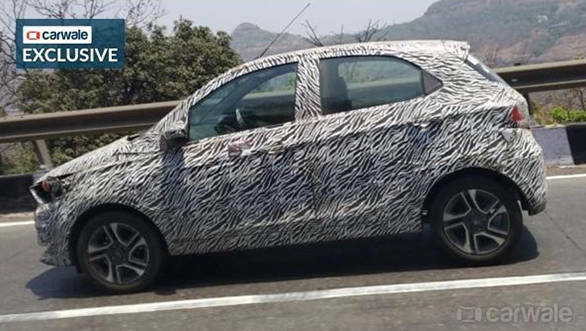 A heavily camouflaged test mule of the Tata Tiago was spotted in India. The midlife update could include new styling and updated mechanicals. 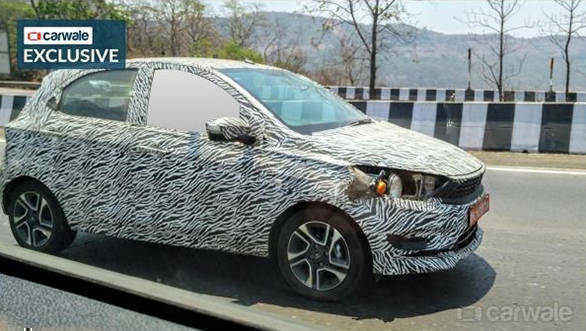 A new sharp design is expected for the headlamp and the headlamp elements could also undergo revision. The grille and the air dam will be restyled too. Along with a new fascia, the hatchback will receive a newly designed tail i.e a new bumper and tail lamp design. The interiors are expected to be revised as well and the infotainment system could receive a soft update. Along with the cosmetic updates, the hatchback is expected to get updated mechanicals. The engines are expected to be BSVI compliant and the diesel variant could be offered with an AMT (Automated Manual Transmission). However, the petrol engine could be the same unit carried forward as before- 1.2-litre three-cylinder producing 85PS and 114Nm of torque. The engine could be offered with a choice of a five-speed manual or an AMT. 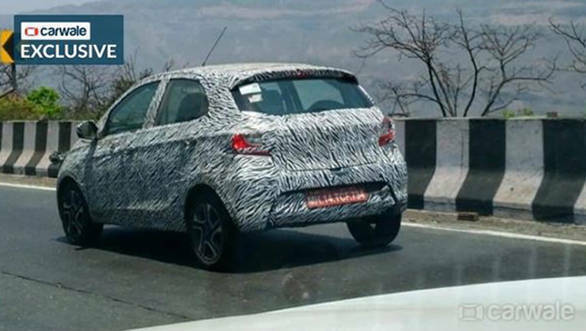 Currently, the Tata Tiago is priced between Rs 4.20 lakh and Rs 6.50 lakh ex-showroom New Delhi. The update will hike the price of the car by Rs 15,000 across all variants. The Tiago rivals against the Datsun Go, Hyundai Santro and Maruti Suzuki WagonR.